Posted on February 21, 2019 by Becky G.
Last summer, I asked our campers what they liked about camp. Hands down, the number one answer was that they were glad to have no phones or computers—they really appreciated having no choice but to leave the phone at home and step away from the pressures of social media. Without media at camp, kids can relax and be in the moment in a unique and profound way. What we do at Wildwood is so important because we connect children to nature and, in the process, show campers how to slow down, breathe, and take it all in, as well as giving them opportunities to make friends, discover, wonder, laugh, play, and explore. A key part of the camp experience is the rare chance to unplug from electronics. Disconnecting from our phones allows us to really connect with each other. Camp is magical: it is forever changing and dynamic, yet the fundamental values and lessons learned at camp stay the same. 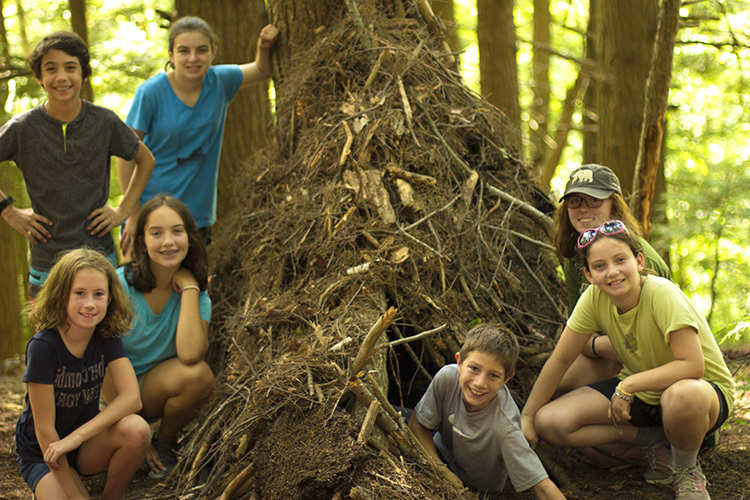 My greatest wish in life is that every child has a transformative summer camp experience. We can’t wait to see our campers at Wildwood this summer. We can connect with each other—and disconnect, together. This entry was posted in Summer Camp on February 21, 2019 by Becky G..